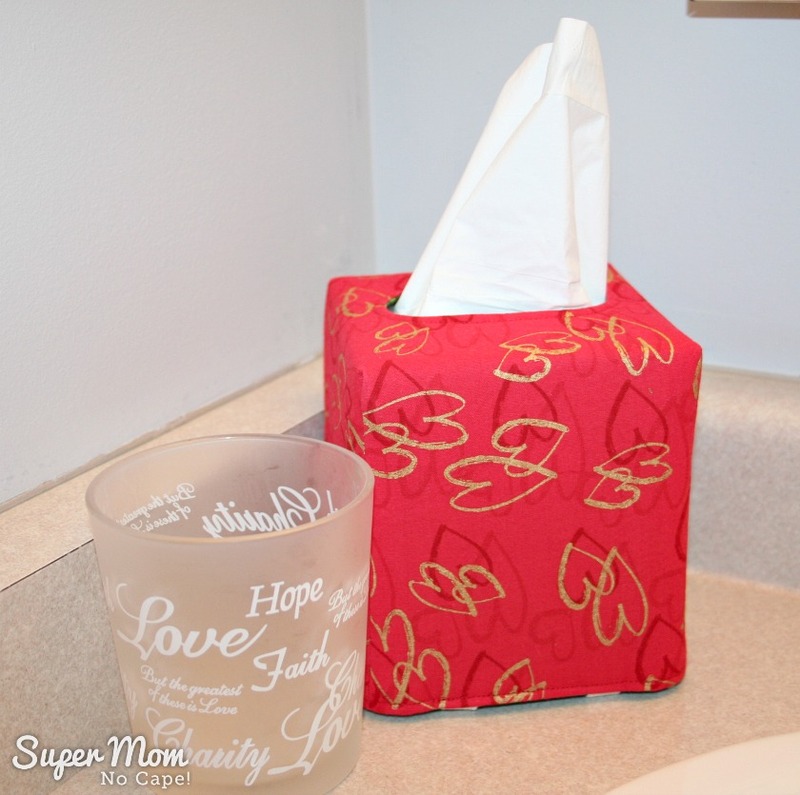 Valentine's Tissue Box Covers - Super Mom - No Cape! Do you decorate the house for Valentine’s Day? When our kids were living at home, I went all out to make Valentine’s Day fun for them… special treats, flowers, treasure hunts, notes stuck to bedroom doors to find when they woke up… all sorts of memory building things. I’ve never really done much by way of decorating for Valentine’s though. 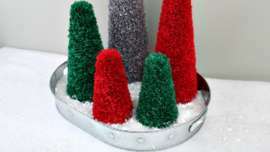 So this year, I thought it would be fun to have little pops of red or hearts here and there throughout the house. 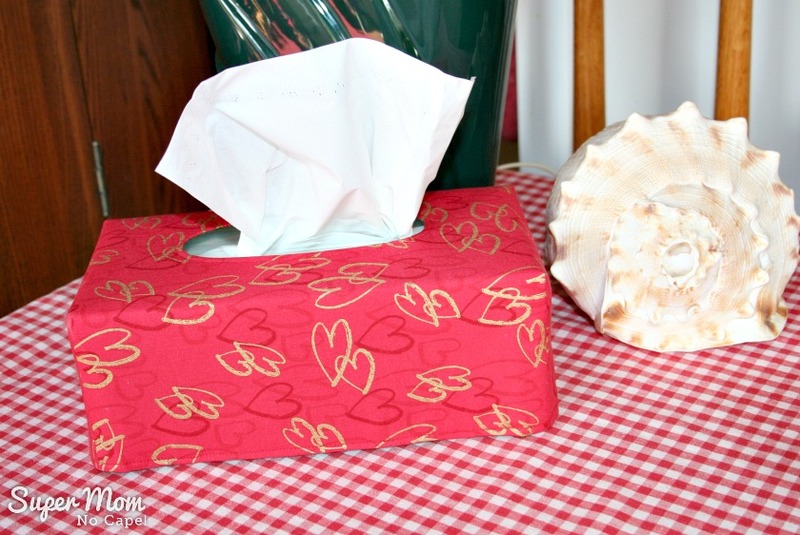 To that end, on my last trip to Joann’s in the States, I picked up some pretty red fabric with gold hearts and made a set of Valentine’s tissue box covers following my Reversible Tissue Box Cover Tutorial. Didn’t they turn out pretty! And the largest one is on the end table beside my chair in the living room. I even got out and ironed the gingham table cover that Dave’s step mother gave us years and years ago. Of course, the end table looked like that just long enough for me to take a photo to share. 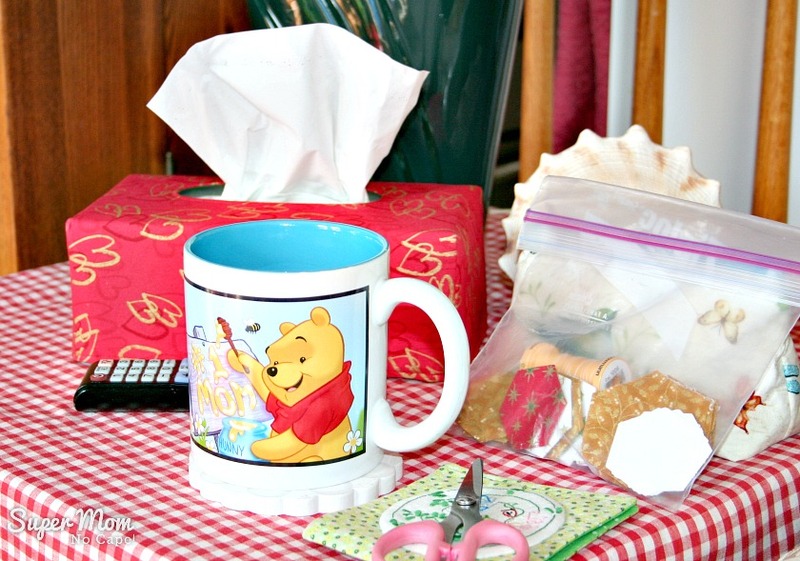 Wouldn’t one of these make great teacher gifts accompanied by extra tissue boxes! 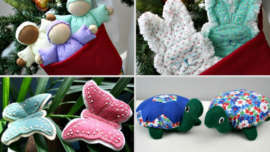 Because they’re reversible you could make one side Valentine’s themed and the other side in St. Patrick’s Day fabrics. Or choose some other fun fabric that you know they’ll like. 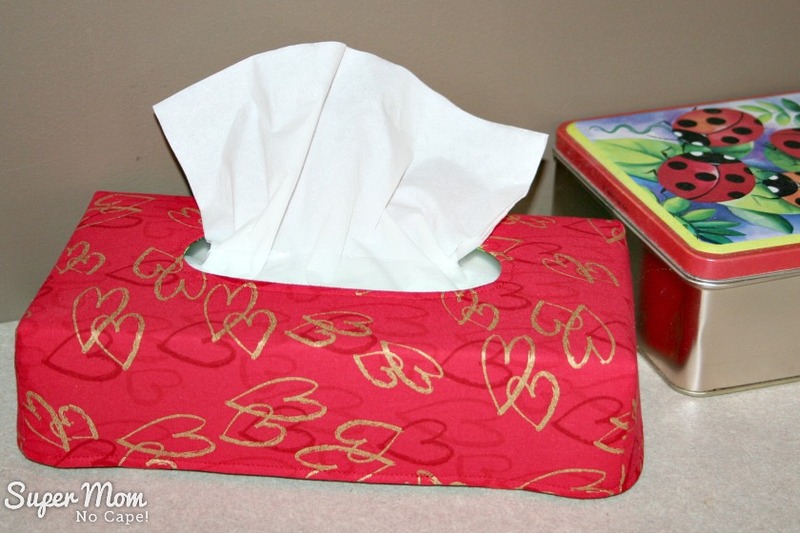 Here’s the link again to the complete step-by-step Reversible Tissue Box Tutorial. 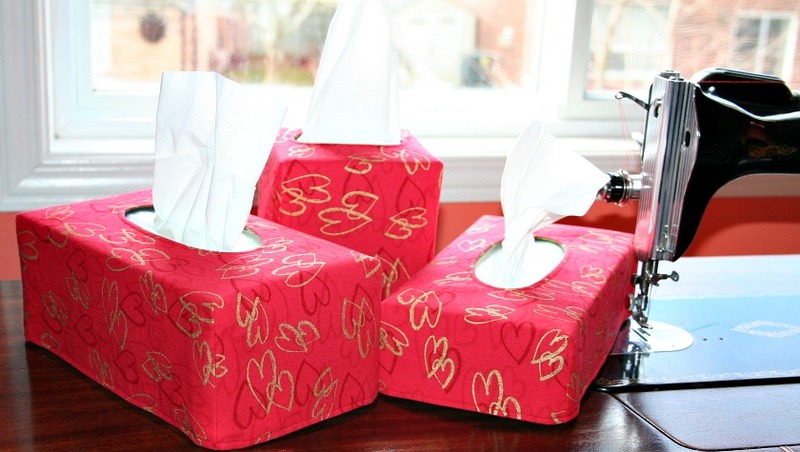 The box covers are lovely Su, what a nice touch to your Valentine’s decor. Bright and cheerful – a lovely addition to the household! That is really cute. I like that valentine fabric. 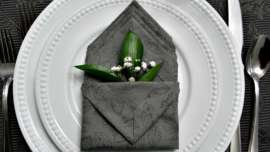 Sue, I have not made a tissue cover in the past. Seeing yours, I certainly want to! Absolutely lovely! 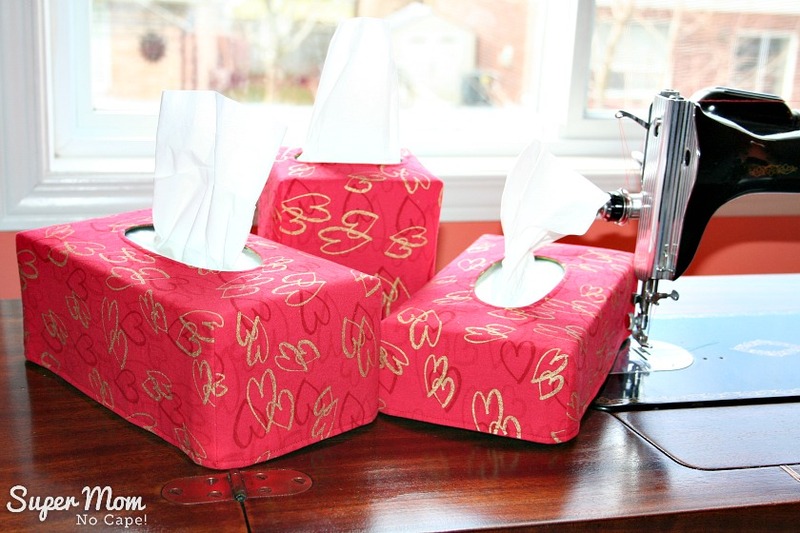 Thank you for reminding me about the tissue box covers – I had planned on making a CQ’d one and it had totally slipped my mind. Your Valentine ones are really cute! Those covers look terrific. I just printed it out since there is some St. Patrick’s day fabric with it’s name on it. Also an FYI…Your table-scape also looks like my norm but way neater! I love those covers. I have made crocheted and plastic canvas covers. Now I can follow your tutorial to make some fabric covers. 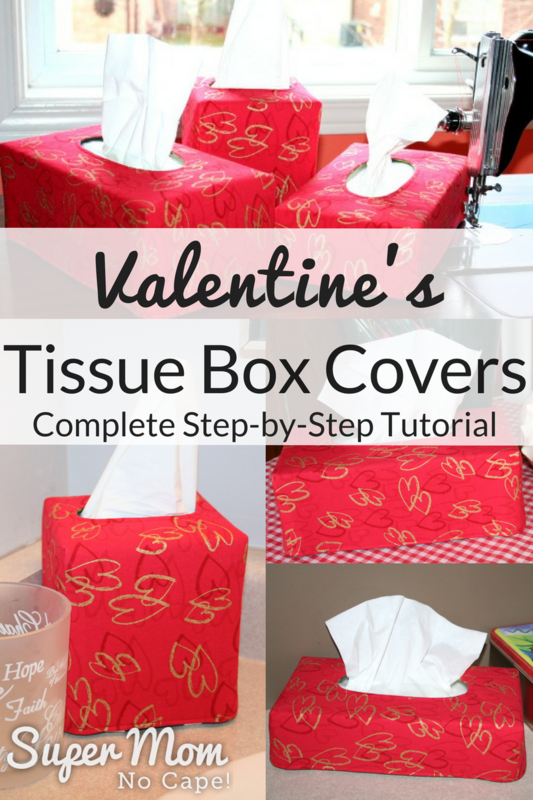 These would make great valentine collection boxes for kids!